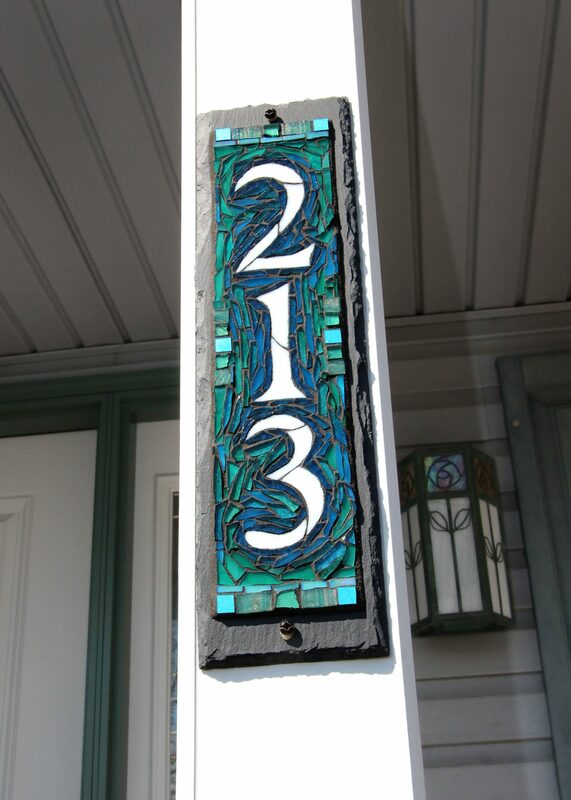 This mosaic vertical house number plaque was the very first of our South Seas Colorway. The clients came to our Open Studio ready to choose colors, and gravitated to blue greens evocative of the sea. It has become our most popular colorway for house numbers. The glass mosaic sign measures 4x15 inches, on Pennsylvania slate. We love the way the plaque looks along with the Arroyo Craftsman St. Clair wall light. Made to order mosaic vertical house number plaque featuring crisp white numbers surrounded the blue greens of the South Seas. Both beautiful and easy to read from a distance, this house number will bring you joy every time you return home. This vertical 3 digit sign has a 4x15 inch Pennsylvania slate base. The digits are three inches high, in Times New Roman font. For outdoor use, made with waterproof glue, and sealed for water resistance. When ordering from Etsy, tell us what colors you desire in the comments field of the order. This combination is the South Seas Colorway. For other options, check our House Number Colorway Guide. You may also send us photos after your purchase, and we will give suggestions. Predrilled holes for fastening directly to your cladding. We suggest anchor screws for maximum stability. Packaged with care and sent via USPS Priority Mail to US and International First Class to Canada. I really like the design with the blue/green background and vertical white lettering for a pillar. Just looking for costs and how to choose colors. We have a medium blue, dark blue and cream trim home. Please let me know. Thank you! Thank you for your query! And thank you for your patience. 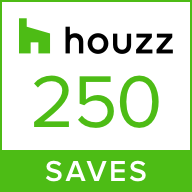 Here is a link to our Etsy Shop with our house number prices and color options. We can also make color suggestions.